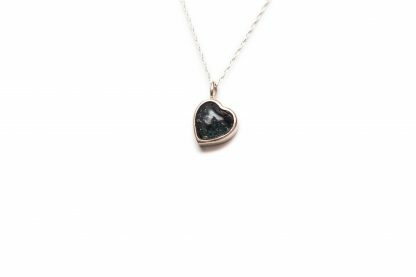 A beautiful heart-shaped pendant that encapsulates and displays the ashes of a loved one in the setting. Be Together, Always. Received my ashes ring today of my dog buddy and I absolutely love it, was having a tough week and missing him so much, this is a big comfort to me to have a part of him on me always. The service was great and had no issues ordering. Really reasonable price and such a beautiful ring. Such a beautiful ring made by Together Always, I will treasure it forever. Took around 3 weeks to deliver to me and the customer assistance is brilliant - they helped me and replied really quickly every time I had a problem! Highly recommend. 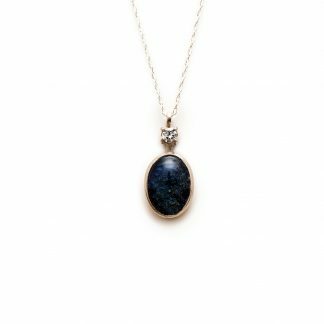 I absolutely love my piece of jewellery and would certainly recommend Together Always. Quick and reliable service with lots of help and communication from the company. Thank you to the team for making this memorable ring for me. You have no idea just what this means to me. The ring I received is absolutely gorgous, their turn around time was very quick and their communication is spot on. They email you every step of the way. Just received my ring, my dad passed away about 10 years ago and I've always wanted to get a piece of jewellery with his ashes in and have finally managed to do it and I absolutely love it, thank you so much, highly recommend! The first ashes necklace i ordered was before Christmas for myself and my second order for the same style of necklace and the clear glass colour arrived last weekend as a gift for my sisters birthday which i gave to her today. Both necklaces contain my mums ashes and Ive loved mine since the day i received it and my sister loves hers, thanks so much. Fantastic service from beginning to end, I love the ring that has been beautifully created in memory of my father. Thank you so much. Absolutely thrilled to bits with my ring containing mum’s ashes - great service from start to finish - was worried that I wouldn’t like the colour I had chosen but it’s perfect. Thank you so much. I lost my husband of 51 years on Boxing Day 2017, but now I have him around my neck in my beautiful new pendant. I also purchased two pair of earrings for each of our daughters. So very pleased. I went into the local jewellers today to buy a longer necklace for my pendant and the jeweller was most impressed at the quality and style. Well done. I have just received mine and my sisters jewellery with my mums ashes in and I'm over the moon with them. They are so beautiful and very delicate, just perfect, so thank you. Absolutely over the moon with my ring.Thank you so much.Every stage from ordering to receiving I have been kept informed.You said a month and you were true to your word.All dealt with sympathetically and dignified.Will recommend you to everyone. Beautiful ring ! Great service answered any questions I had . And it arrived on her birthday which I never planned it's the first birthday without her so thank you Together Always . What amazing jewellery. I can't thankyou enough and begin to explain what it means to us. It's so nice to say that my dad will still always be with me every where I go. Thankyou. Never take my ring off. It's like my dad is holding my hand. Arrived today the beautiful pendent I ordered with my dads ashes for my mum. I'm really pleased with it. I shall be ordering again after Christmas so impressed with the quality. Thank you so much for the care you showed at this hard time . Love my ring so much. A perfect way to keep my precious furbaby, Dixie, with me always. Instant replies with any questions and offered to resize when I thought it didn't fit (think my finger had swollen a bit because it seems to fit perfectly now). Highly recommend. Thank you so so much! Love my ring, simply stunning. So happy I can keep my Mum with me always! My ring was delivered this morning and all I can say is WOW! It's truly stunning and now my dad can be with me always �� thank you so much! 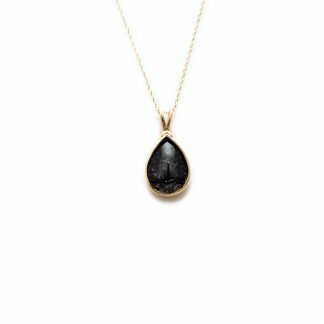 I'm very pleased with the beautiful gold pendant containing my Mother's ashes. Exceptionally good company. I have just received my signet ring containing my late Mother's ashes. I am absolutely delighted with it. It was only ordered just over a week ago. Such a fantastic service. Even returned the unused portion of the ashes. I whole-heartedly recommend them. Thank you. Really pleased with my pendant containing my dad's ashes. Thank you. Great idea, the sentiment is real. I wish i had thought of this. What a beautiful gifts you have. Your site is amazing and thank you for making people's loved ones close! Just received my ring and it looks amazing thank you so much highly recommend. Thank you so much for our rings! We're so so happy! Amazing quality and amazing service. We can now carry our mom with us everywhere! Could not be happier! I ordered the silver signet ring for my partner with his younger brother's ashes in it. It's absolutely beautiful and he is thrilled with it. Thank you so much! When we receive your order we will send an order pack with a pouch and pre-paid envelope so you can send the ashes to us. Available in your choice of sterling silver or 9ct gold (white or yellow). Choose from nine different setting colours (please be aware that setting colour may differ slightly depending on the tone of the ashes). Available colours: Amber, Amethyst, Baby Blue, Baby Pink, Diamond (clear), Emerald, Obsidian, Ruby and Sapphire.